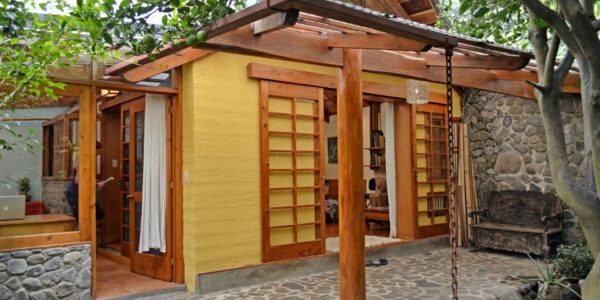 Casa Adobe is a beautifully-designed, 2-bedroom house of adobe and wood, with a strong, stylish Japanese influence, designed by a local architect. 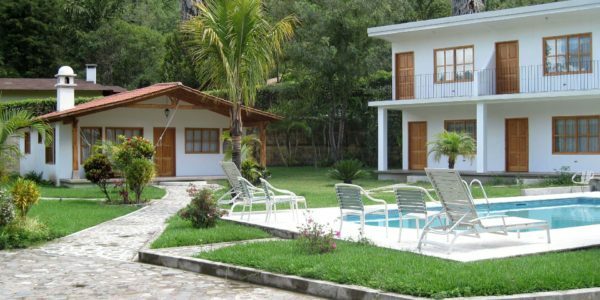 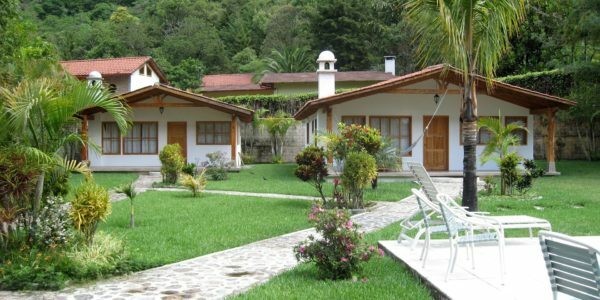 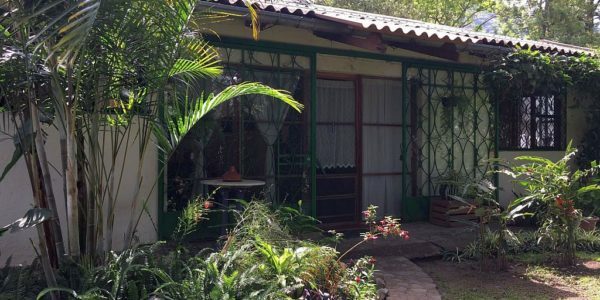 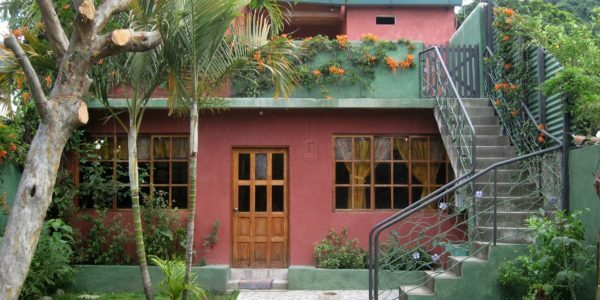 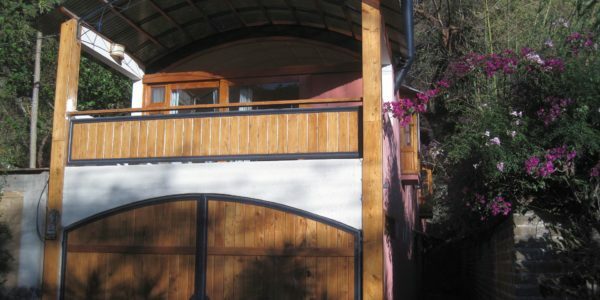 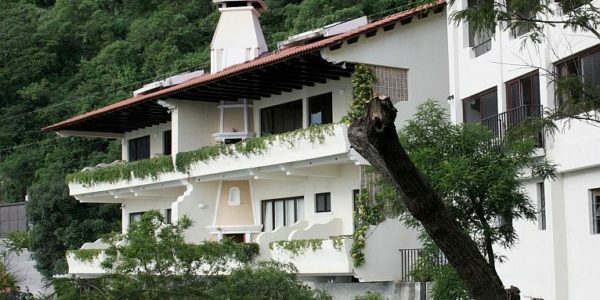 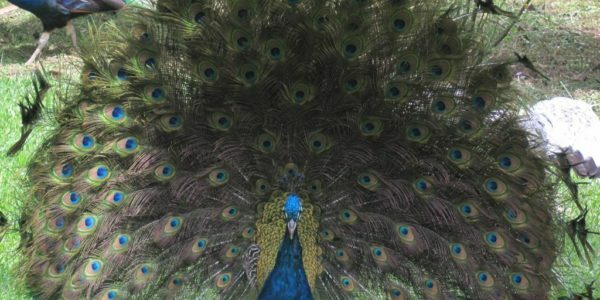 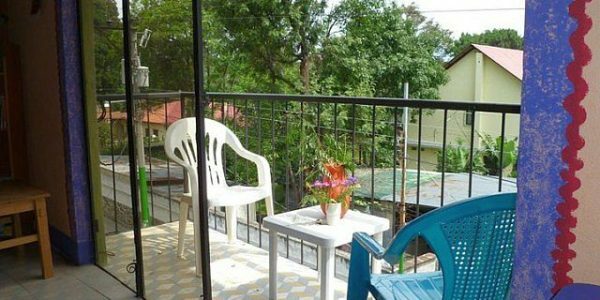 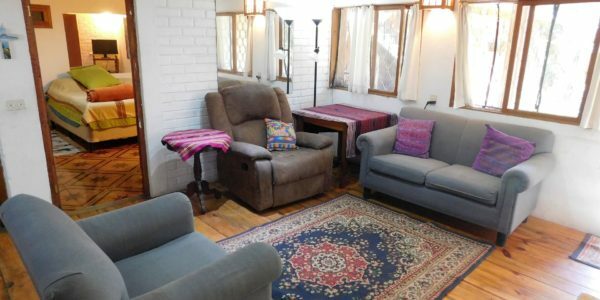 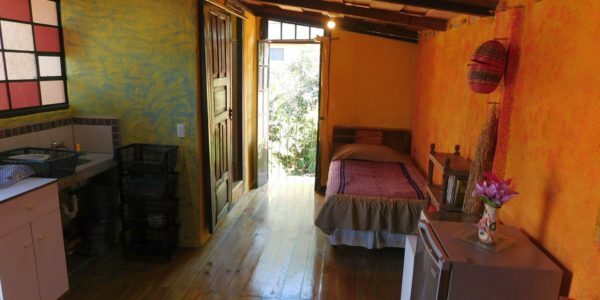 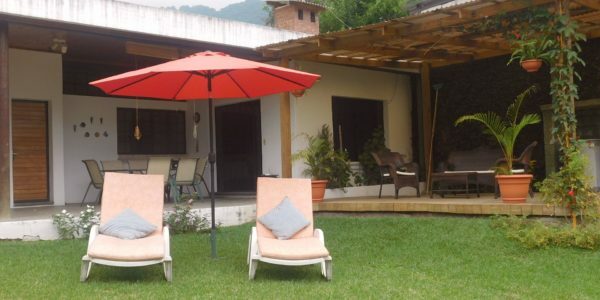 A perfect Pana rental for one person or a couple, looking for some peace and privacy. 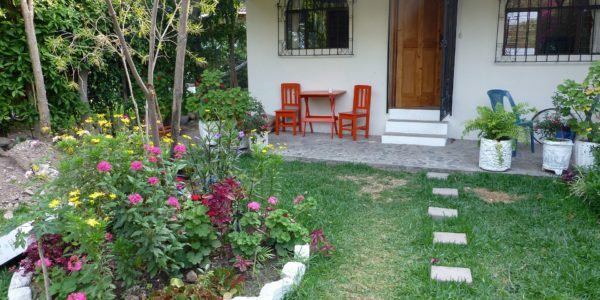 Part of a complex of houses, but this house has its own private street entrance and garden, in the quiet residential area of Las Manos. 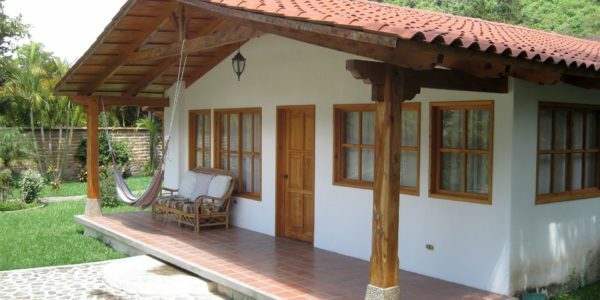 A large, open-plan room with lots of light and air is accessed through sliding doors from a covered porch. 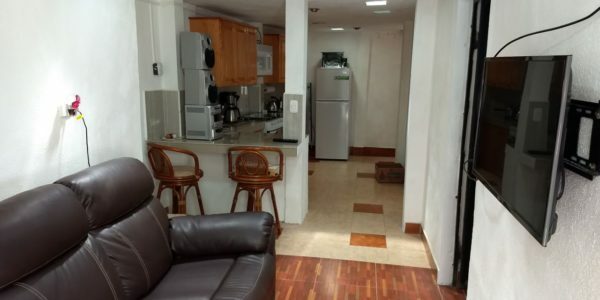 To the right is a small, moderately-equipped kitchen area with the bathroom next door. 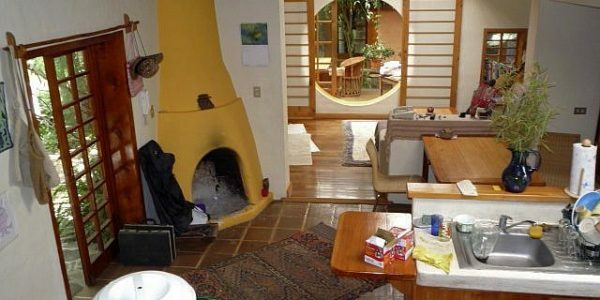 Steep stairs lead up to the upper, loft or mezzanine level with a large bedroom space above the kitchen & bathroom, and then along a gallery there is a second bedroom above the main living area and fireplace. 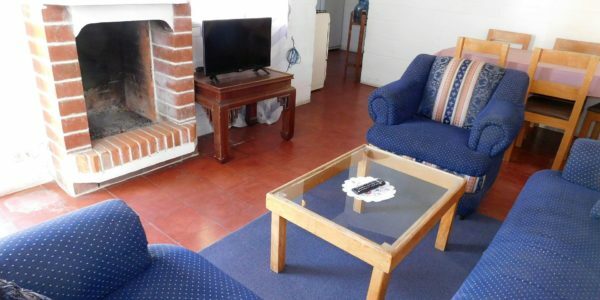 It is simply furnished, but provides the majority of what is needed for a long-term rental. 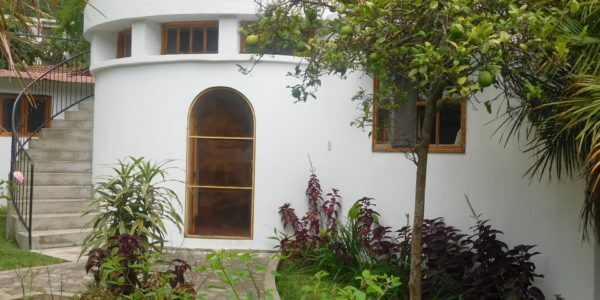 It is just a short tuk tuk ride from central Pana in a very quiet neighbourhood in northern Jucanya.